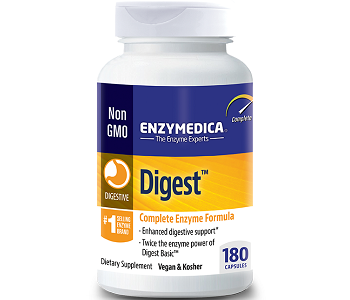 Our review today is a product that Enzmymedica made called Digest. In this review, we will highlight the facts about the product. The manufacturer has designed this product to enhance your digestive support and relieve any digestive discomforts such as occasional gas, bloating and indigestion. It helps to absorb nutrients and converts food into energy. The product is non-GMO. The product is vegan-friendly. 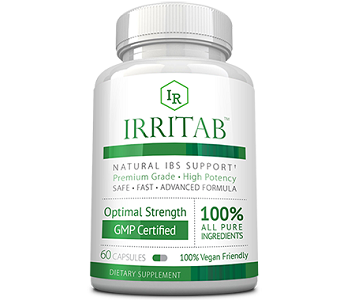 The active ingredients in the product have shown to be beneficial in relieving digestion discomfort. The inactive ingredients found in the product are Vegetable Cellulose and Water. Prior to taking any medication or supplement, you need to visit your health professional to get advice about the product. The manufacturer has suggested that you should take 1 capsule with each meal. If you require more, you can consume if needed. Women who are pregnant or nursing, as well as people who have a medical history, need to go to the doctor to determine if their condition is suitable for the use of the product. Customers reported that their digestion discomfort got worse, and certain customers said that they were nauseated after taking the product. The product consists of 30 vegan capsules that you can buy on Amazon for $9.18. Shipping is free only on orders over $25. The manufacturer has not granted a discount on the purchase of a single item. If you wish to claim a discount, you will have to subscribe. The manufacturer has granted a guarantee for the product. If you are unsatisfied, you can return the product within 30 days of purchase. Do not forget that you will have to pay for the shipping costs to get the product to the manufacturer. After looking at the customer testimonials, we think that the guarantee may be necessary as we found several customers who stated that the product did not work. During the close examination, we were able to discern that Enzymedica has made a product called Digest to enhance your digestive support and relieve any digestive discomforts such as occasional gas, bloating and indigestion. It helps to absorb nutrients and converts food into energy. Unfortunately, the product has several flaws. The manufacturer has not provided a discount on the product, and the shipping costs are an additional expense. Although the manufacturer has provided a guarantee for the product, it is valid only for 30 days, and you will have to incur the shipping costs to return the item when requesting a refund. We looked at the customer testimonials to determine the customer experience and discovered several unsatisfied consumers. They mentioned that the product did not work for them, and some stated that their condition was exacerbated after taking the product. They felt stomach discomfort and nauseated. Consumers will be taking a risk when purchasing this product as several customers have complained about the ineffectiveness of the product.